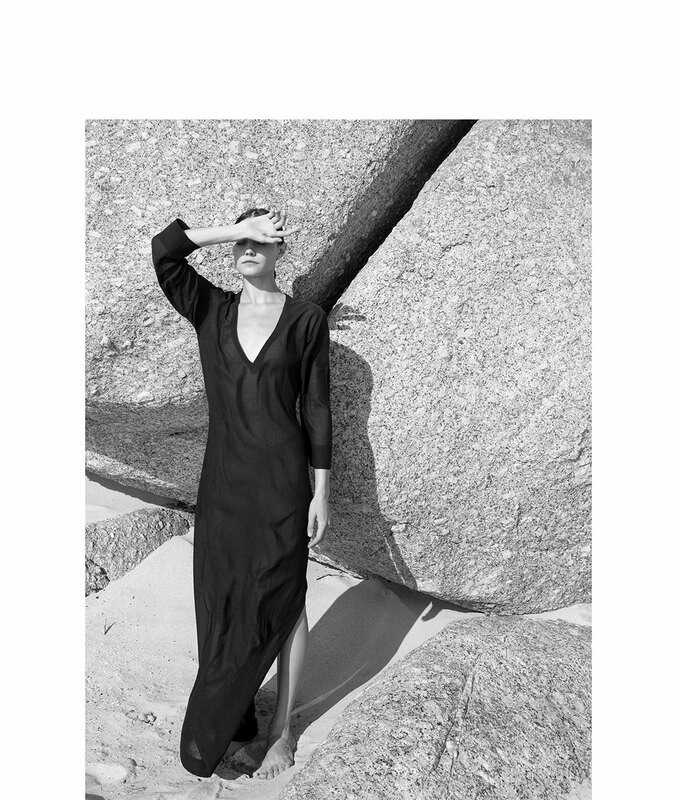 The Turnover Dress is crafted from cotton-voile for a lightweight feel, and is shaped to a relaxed silhouette, with bracelet-length sleeves and a knee-high side-hem slit and a long, slim tie-fastening belt to cinch waist. Turn the easy fluid dress around and wear the deep v-neck in the back. Pair it with the flat Espadrille for a effortless beachside look.